(SPOILERS) As often as not, Best Foreign Language Film Oscar winners (or even the nominees generally) have left me nonplussed, which is par for the course with the main, Best Film, category too. 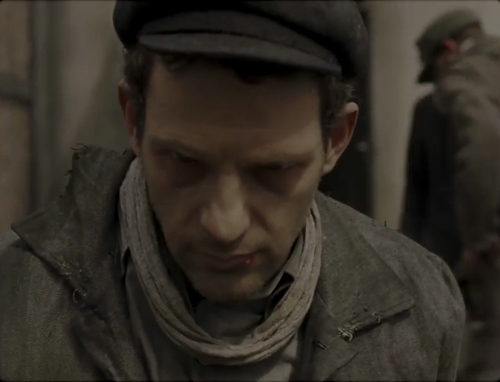 The acclaim for Son of Saul has been resounding, but aside from feature debut director Làszló Nemes’ stylistic and technical choices (think very verité), which are immediate, overwhelming and horrifying, but lose their impact after the umpteenth close-up pursuing our protagonist Saul Auslander (Géza Röhrig) around Auschwitz, I found the picture rather less than compelling, much of which has to do with the plot’s focus. The Holocaust drama generally tends to be burdened down by the weight of assumed substance and merit anyway (which is why the cynical view suggests one need only make a film with such subject matter, be it feature, short or documentary, for it to garner an Academy nomination), and that’s quite aside from the valid question of whether it’s a subject suited to the fiction format, rather than the documentary; in this regard, Shoah director Claude Lanzmann, who doubted the capacity of dramatisations to appropriately convey the Holocaust, most notably in respect of Schindler’s List, considers Son of Saul, with its focus on the Sonderkommando, the prisoners forced to dispose of those sent to the gas chambers, to be legitimate, that it “is a fiction in many respects, but the fiction is the truth”. 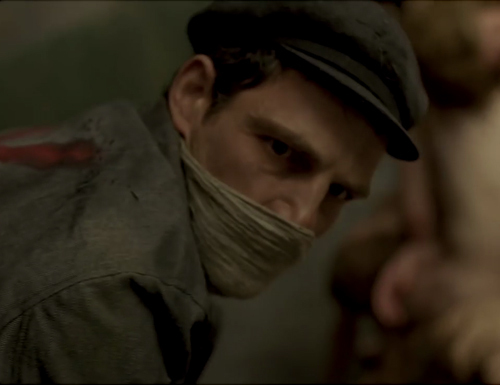 Coming from an authority on the subject, that seems like high praise indeed, but I found Neems’ conceit, of a dehumanised shell of a man who witnesses a boy survive the gas chamber (only for him to be suffocated by a Nazi doctor, who then orders an autopsy in the interests of professional curiosity) and then becomes convinced that the boy is his son, and accordingly seeks a rabbi to perform a proper Jewish burial for the body, unpersuasive. 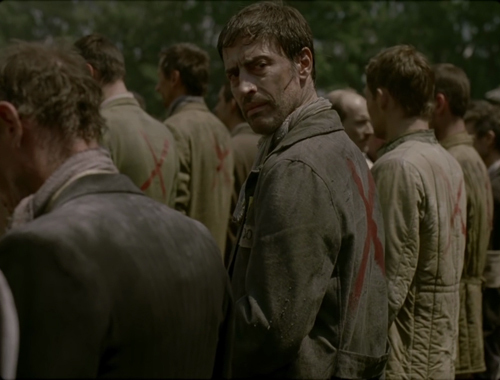 Rather than offering insights into the Sonderkommando, or fleshing out characters such that they convey some impact (Rohrig’s performance is impressive in its interiorised control, but this in itself is dramatically anesthetising), the picture effectively becomes a means of presenting an unlikely guided tour of the concentration camp; Saul joins different work parties (the riverbank, the crematorium,) or hooks up with those planning a revolt (or to smuggle out pictures of the truth of camp) and finds himself in various locations (fixing a door, visiting the women’s camp, being mocked by Nazi doctors, joining Hungarian Jews taken to the woods for execution in his search for the elusive rabbi). Added to which, the ticking clock of setting this at the point of revolt (the Sonderkommando learn they are due to be gassed) adds to the feeling of manipulative, pressure-cooker mayhem. The cumulative effect is repetitive, however, such that, after the initial impact of Neme’s technique has worn off, we are left with Saul’s one-note mission; by the halfway mark, I wondered if Saul was really going to be spending 100 minutes looking for a rabbi, but that’s exactly the course the picture takes, meaning the parallel plot of the revolt, which could have done with expansion – or even being focused on instead – is dealt short shrift. 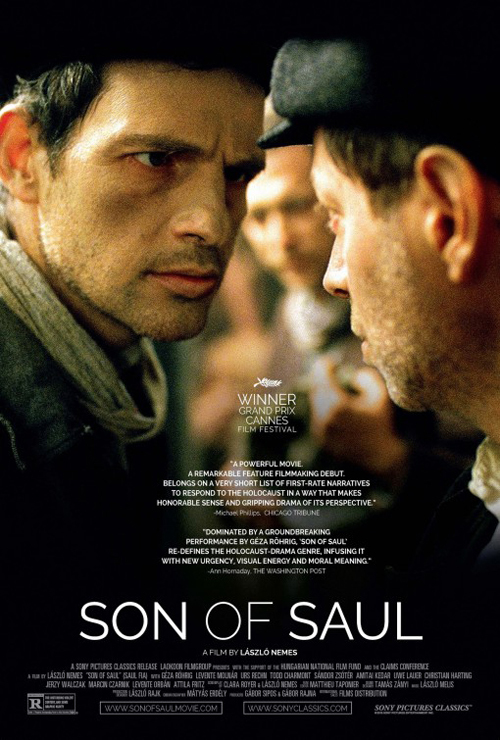 Neme is to be commended for avoiding the sentimentality brought to Schindler’s List, but I’m not sure his contrasting approach is any less bound by layers of artifice; Son of Saul simply adopts the mantle of realism.